This cute cape cod house has a lot to offer! 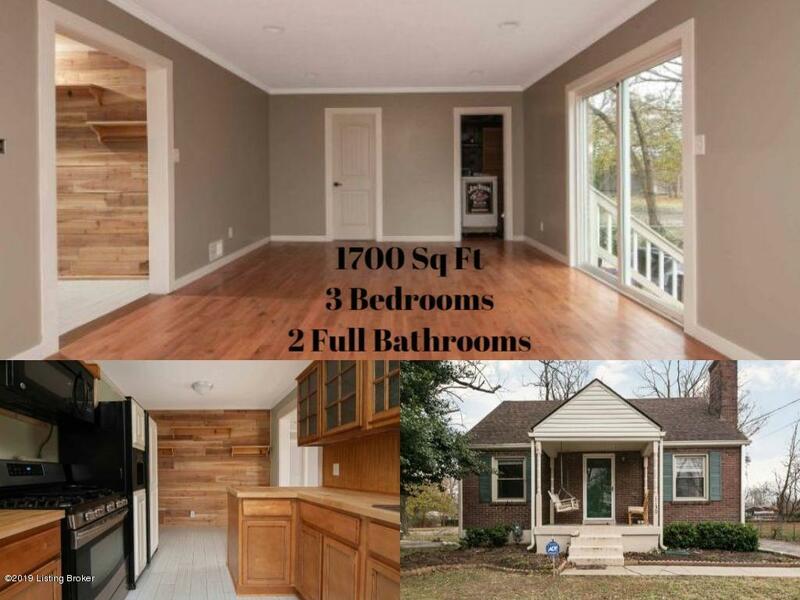 You walk in to a large living room with refinished hardwood floors and a fireplace. The kitchen has recently been updated with new flooring, a new counter-top, and newer cabinets. There are two good sized bedrooms downstairs that are split between the first full bath. Upstairs, you will find that the bedroom is large enough to turn into a master suite suitable for anyone. The large den addition has plenty of space and looks out the sliding glass door to the .3 acre lot that has room enough for a dream garage and plenty of off street parking. The den could also be used as a master suite as it has a full bath and large closet. The back yard is large and flat and is fenced in to let your kids and pets roam free. The house has been freshly paintedand the seller is offering a 1 year First American Home Warranty.